Dang wet blanket on a fun emotional crisis, is he, says Yoda. 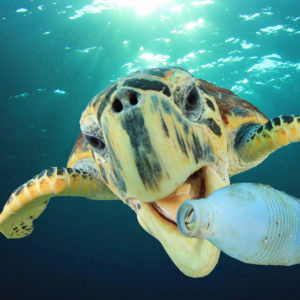 The Leftist Creative Class is stepping up with images of turtles and other sea life damaged by plastics. Oh, the injustice of it all. Chicken Little calls for action so creative fools with tools go eager to rage-against – again. Thus unfounded outrage sparks laws in California to punish those who provide a simple plastic straw. Talk about government overreach. Talk about unstudied reactionary stupid stuff. Fine that waiter or jail the entire restaurant – that’s the ticket. Leftists, however, are very devious. The image on the right was captured by Brett Stanley Photography and obviously staged. 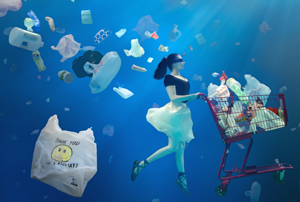 The trash visible was placed by the photographer and posted with this fact, “90 percent of all trash floating on the ocean’s surface is plastic. 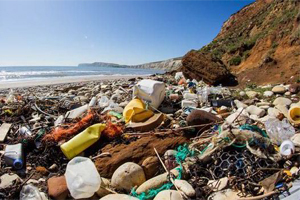 One million sea birds and 100,000 marine mammals are killed annually from plastic in our oceans,” accurate as far as it goes, but not North or South America’s doing. Sadly, again, Leftists are confused. Thank God for the Electoral College that protects against populist stampedes of well-meaning ignorance from hideously congested coasts. This entry was posted in Science on July 26, 2018 by admin.